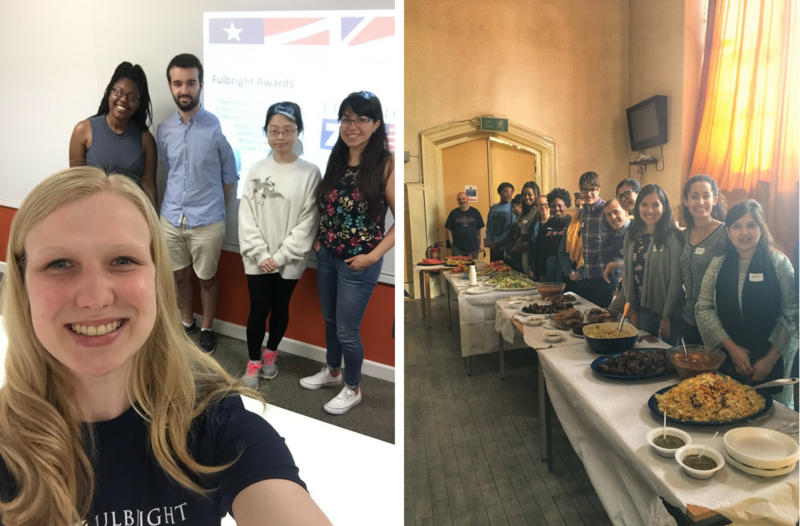 As part of the US-UK Fulbright Commission's 70th Anniversary celebrations, Fulbrighters and staff came together to volunteer in local communities and share their experiences of being part of the Fulbright Programme. During the month of May, more than twenty outreach events took place, including talks at universities and schools, food drives and community meal preparation. All of these events were publicised in the Fulbrighter app from April until July. Several talks at schools and colleges had as many as 200 students in attendance and at most events, attendees reported having not heard of Fulbright prior to the talk. The efforts of all who participated in the Month of Action succeeded in creating awareness of Fulbright awards opportunities and the history and mission of the Fulbright programme. 8 May – A talk by Nina Heyden at the University of Essex about her Fulbright experience so far. 10 May – Laurel McSherry and Robert Briscoe organised and prepared a meal for the weekly Open Workshop Night at The GalGael Trust in Glasgow. 13 May – Garrett Thompson organised a health and nutrition workshop in Sheffield with two local charities, Element Society and Israac Somali Community Centre, aiming to increase health education. Left: Nina Heyden with students who attended her presentation. Right: Garrett Thompson's health and nutrition workshop in Sheffield. 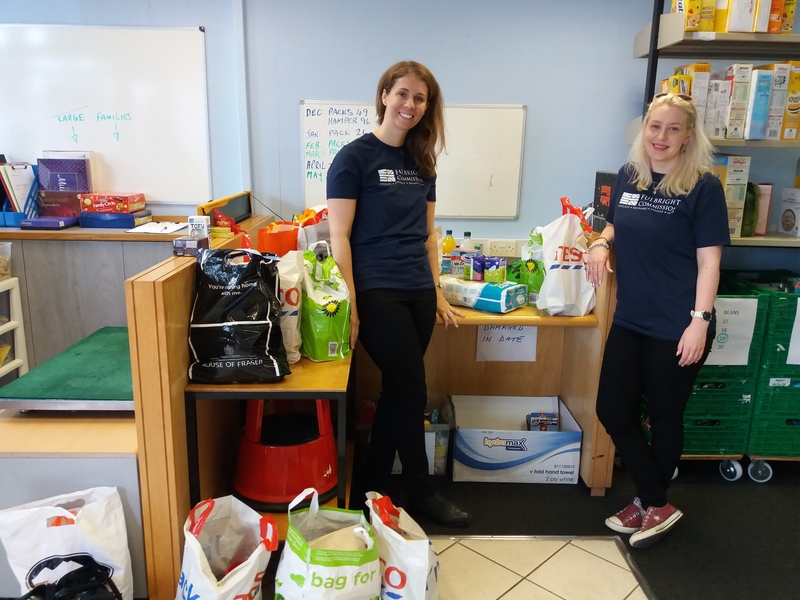 14 May – Lauren Allison organised a food bank drive in Northern Ireland. They facilitated the donation of 124kg worth of food and supplies to the Trussell Trust Dundonald Foodbank. 17 May – Lauren Bellaera gave a presentation with a Q&A session to the staff and students at St. Angela's Ursuline School, London. 21 May – Marissa Piccolo held a talk with students and a lunch in the graduate school, Queen's University Belfast. 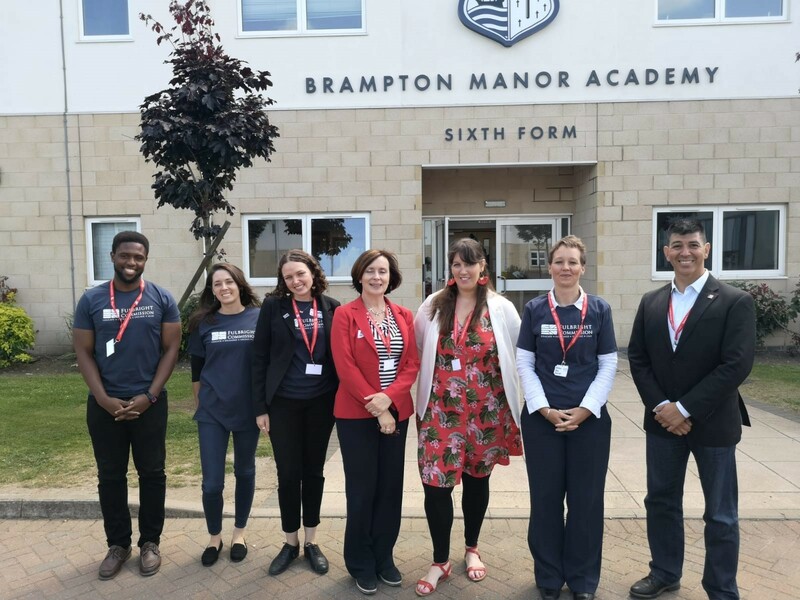 Fulbright staff teamed up with Fulbrighters to volunteer at Brampton Manor Academy in London to help sixth form students with interview practice by conducting mock interviews. Some of the students had never experienced an interview before and appreciated the opportunity to develop their interviewing skills. Central to Senator Fulbright’s vision was the idea that mutual understanding among nations could be developed through scholars’ engagement in their host communities. The Commission is proud of the work of these grantees and alums in giving back and in working to strengthen ties between the US and the UK, and in helping to make this initiative a great success. The annual Fulbright in Action project will next run in early 2019.